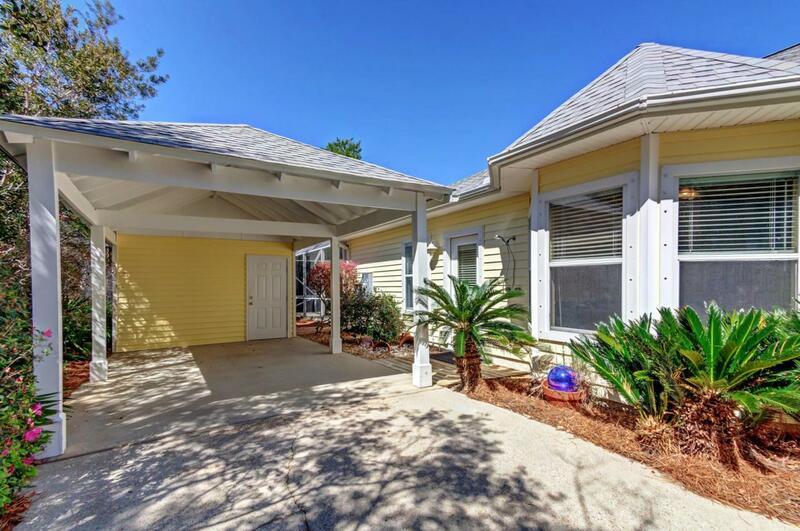 Here is your chance to own in one of 30A's best kept secrets, the Seabreeze Neighborhood of Seacrest. 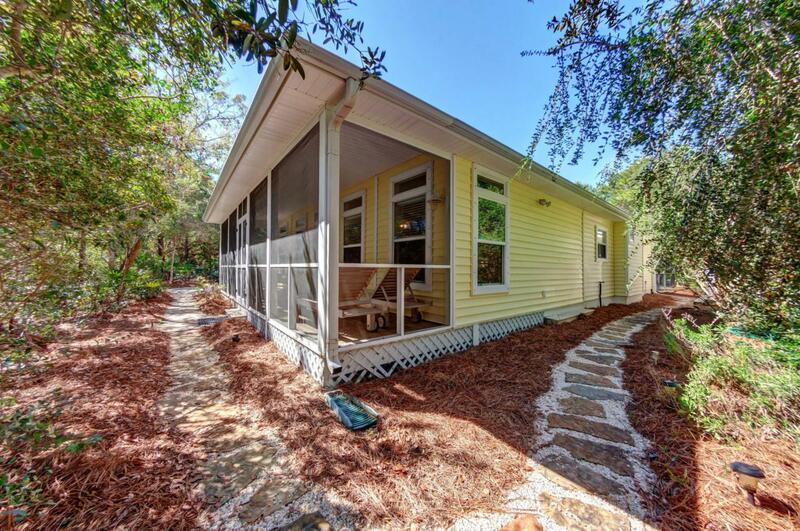 This charming 2br/2ba Florida cottage, with a separate bunk room, has been freshly painted and sits on a third of an acre with a beautiful landscaped salt water pool area, carport, and exterior pool house. This home is a perfect place to relax and call home. 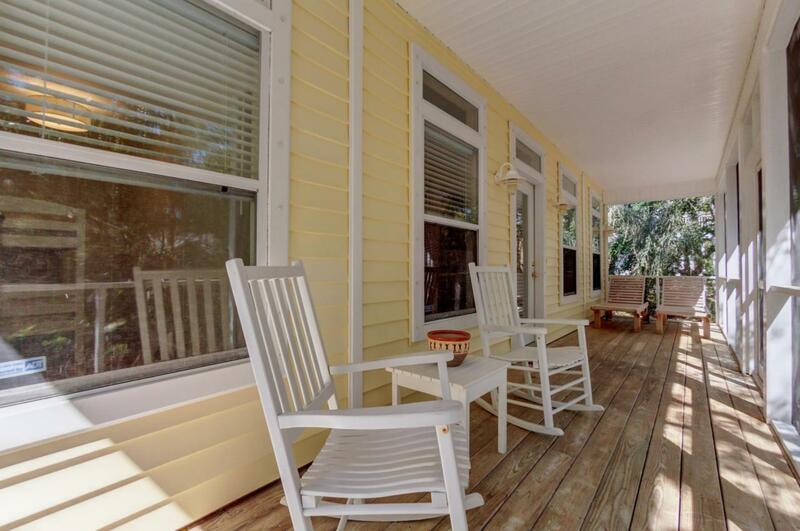 The residents of this community enjoy peaceful tree-lined streets, walking their dogs and riding bikes with the kids, deeded beach access and a very well organized homeowners' association. Take a tour of this home and discover a huge living room with beautiful hardwood floors, a formal well lit dining space, and multiple areas in the home for office space or working out.The master bedroom has a desirable en-suite bath and a wonderful walk-in closet. This one level home is ideal for a full time resident and is priced to sell quickly. 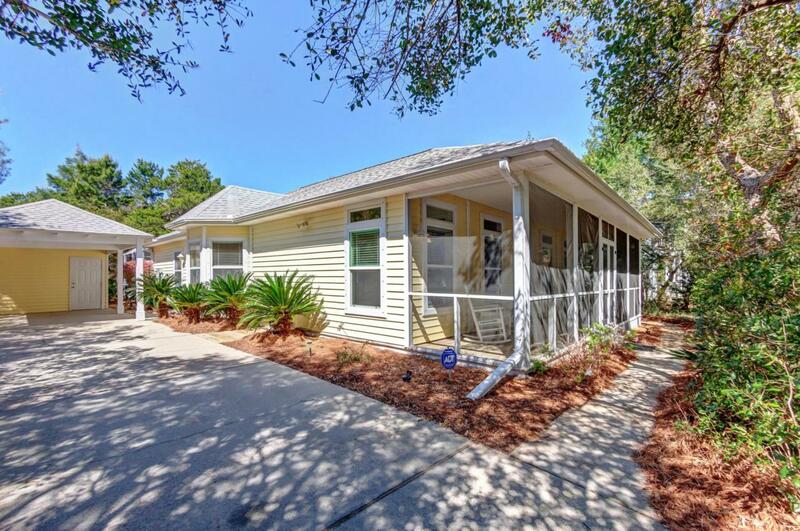 It's well maintained with a new roof, a new hot water heater, security system, screened porch, private workshop or pool house, single car carport, and a heated saltwater pool.